We have been very busy over the last couple of weeks, not only attending the Handmade Fair but also trying to shoot a short instructional video on how to fill our reusable Christmas crackers. In between sending orders and making stock, we have been rearranging props, furniture and my living room in general to capture the best shots possible. It’s something we have never tried before which proved quite challenging. Luckily I was able to call upon the expertise of my good friend Felicity, who had some great tips and advice, plus an endless supply of patience. The whole experience also highlighted the fact that my Brummie accent is quite a bit stronger than I originally suspected; luckily there was no need to hear me talk on this occasion! Christmas comes to my living room in the middle of Summer! The video includes a demonstration on how to fill our crackers, and some lovely gift ideas for all the family. Since their launch we have enjoyed chatting to customers who have used our crackers to send some extra special surprises which we have also included in the film. We had great fun raiding my neighbors silverware and whiskey collection for props! You can check out the video below or follow this link to view on YouTube. We hope you enjoy and if you have any comments or suggestions of what you would put in our crackers we would love to hear from you. We are very excited to announce that one of our products has been shortlisted for the Country Living Fair People’s Choice Exhibitor Award 2015! 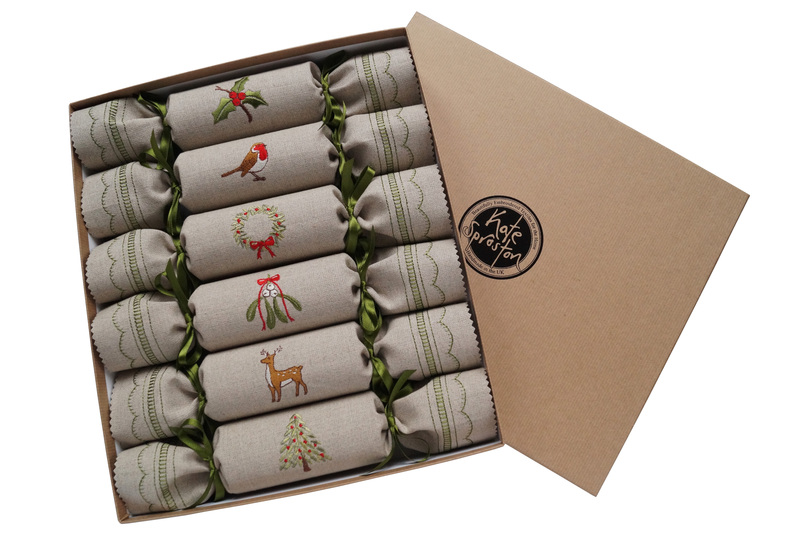 Complete set of Woodland Reusable Christmas Crackers in our new gift box. The organizers at the Country Living Christmas Fair asked all exhibitors to tell them about their favorite product. We entered our Woodland Reusable Christmas Crackers and have been lucky enough to be selected for the shortlist. 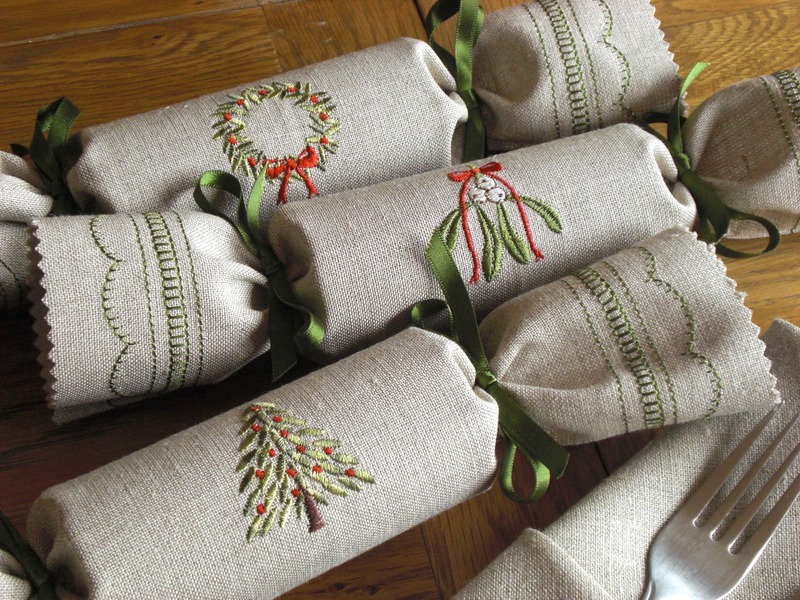 Wreath, mistletoe and pine tree reusable Christmas crackers. All the shortlisted products will be on display at the front of the London show, and visitors will be able to vote for their favorite. Every voter will also be in with the chance of winning the People’s Choice Hamper containing every single item on the list. The fair takes place at the Business Design Center, Islington between the 11th – 15th November 2015. You can find us on stand MF19, so why not pop by and say “hello” and don’t forget to vote! We will be keeping our fingers crossed so wish us luck! P.S. We will also be giving away four free tickets to the London show in the next few days, so if you haven’t got yours yet, watch this space to be in with a chance to win.